The new wave of fresh-outta-highschool EDM talent is led by just a handful of pioneers. Martin Garrix can certainly be counted as one of them. Currently being 17 years old, he is recognized as one of the most talented guys out there. 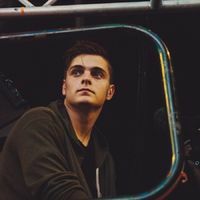 He just landed his first record deal and has already been spotted in de studio with Sidney Samson and that other Dutch mega talent Julian Jordan. In the DJ department Martin is quite the busy one too. He's had gigs at Mysteryland and was the youngest DJ ever to play the world’s largest nightclub Privilege in Ibiza. He's a regular guest at LMFAO's 'Dont Let Daddy Know' parties and Redfoo's 'Sorry For Party Rocking' club nights, where he shared the booth with Sidney Samson, Eva Simmons, Diplo and many more. Martin Garrix is very well on the way to becoming hot EDM property, so keep your eyes and ears peeled! (P) 2017 STMPD RCRDS B.V. exclusively licensed to Epic Amsterdam, a division of Sony Music Entertainment Netherlands B.V.
(P) 2016 STMPD RCRDS B.V. exclusively licensed to Epic Amsterdam, a divison of Sony Music Entertainment Netherlands B.V.
℗ 2014 SpinninRecords.nl, under exclusive license to Casablanca Records, a Division of UMG Recordings, Inc.
(P) 2019 STMPD RCRDS B.V. exclusively licensed to Epic Amsterdam, a division of Sony Music Entertainment Netherlands B.V.